The object of this game is to poke the person above you with an object of any kind (so long as it is non-sexual. Keep it clean unless you really want to be moderated.) The object can be real or imagined. I poke the air (since no one is above me) with a banana! I poke you with my glass of tea. I poke you with my cripple finger! I poke you with a hot poker straight out of a fireplace fire. Poke you with a floppy disk! TIME TO BRING OUT THE BIG POKES! I POKE YOU WITH A POKE BOWL! I poke you with my TV remote! I poke you with my SHIELD! 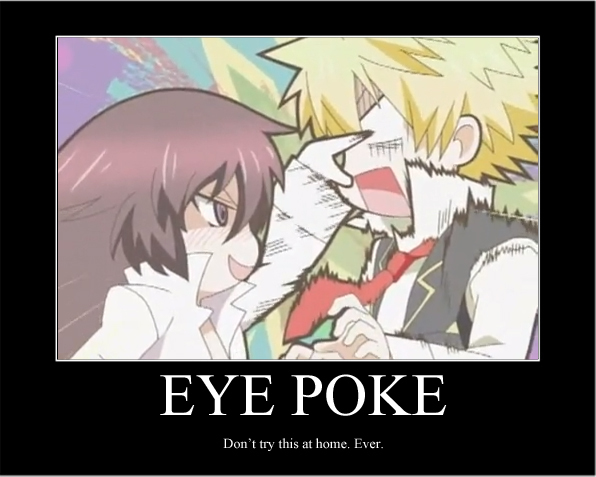 I poke you with..... TOILET PAPER. I poke you with EGGS!! I poke you with my tea candle lantern. 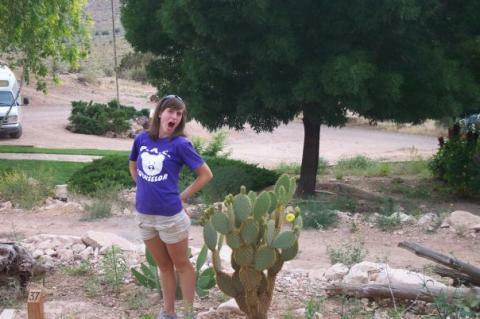 Surprise Cactus to the Rear poke!